Pay for your DeckMaster services online. Pay for your DeckMaster project online today using our secure PayPal payment portal. Simply select your project type, choose your payment type and click “Pay Now.” Upon clicking the “Pay Now” button you will be redirected to our payment processing portal via PayPal where your payment will be collected. You can pay via credit or debit card, and will also have the option to pay with your own PayPal account. However, a PayPal account is not required to process your payment. 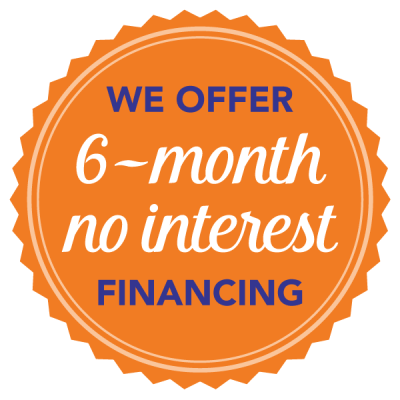 Be sure to ask today about our special 6-month no interest financing! DeckMaster™ provides high quality deck & fence cleaning, sealing, construction and repair services in Montgomery County, Maryland: Gaithersburg, Germantown, Darnestown, Potomac, Bethesda, Rockville, Kensington, Chevy Chase, Wheaton, Silver Spring, Aspen Hill, Colesville, Boyds, Damascus, Clarksburg, Montgomery Village, Laytonsville, Burtonsville, Ashton, Poolsville. Howard County, Maryland: Columbia, Ellicott City, Elkridge, Glenwood, Clarksville. Frederick County, Maryland: Frederick, Mount Airy, Urbana. Fairfax County, Virginia: Mclean, Vienna, Reston, Falls Church, Arlington, Herdon, Alexandria, Fairfax, Springfield & Washington D.C.
© DeckMaster 2019. All rights reserved. Any use of content without written consent of DeckMaster, Inc. is prohibited. If you need a new deck built from scratch, DeckMaster is the right team to call. We have years of experience building decks in a variety of types of wood as well as composite wood (such as Trex). We build custom decks to give you the functionality and design that you want. Right now for a limited time, we’re offering a $1000 credit toward your new deck construction project of $10,000+ when you mention the coupon code “WEB18”. 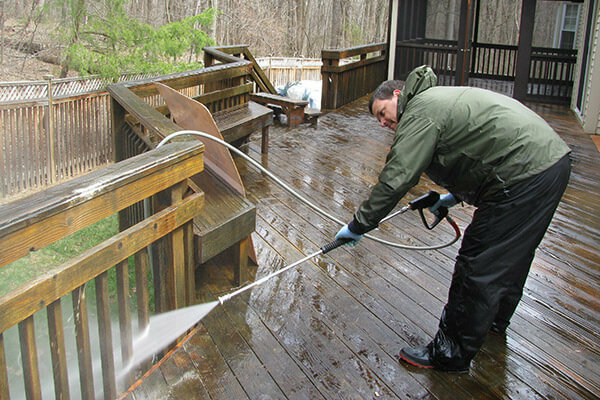 Most other deck washing companies use harmful pressure washers that can damage your deck’s wood. That is why DeckMaster has developed the PressureLess™ Cleaning System & Preservation System. It is a non-toxic, biodegradable, safe cleaning solution that is applied to your deck in a high volume mist sprayer. Rather than relying on pressure, we rely on our patented chemical process to remove old stains and sealers and restore the like-new appearance of the wood. It won’t cause cracking or splintering and even slows the growth of mildew. 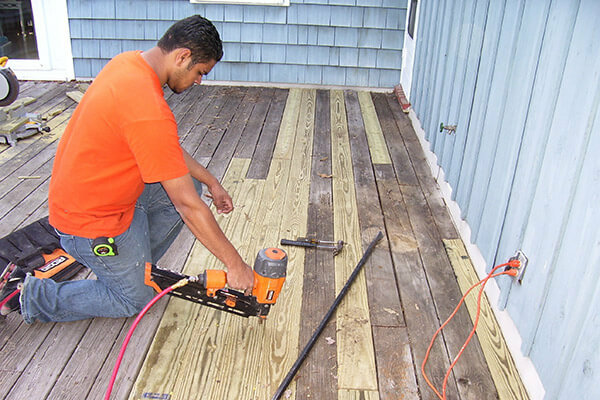 With the help of DeckMaster, you can restore your deck to like-new condition. Why buy a new deck when you can repair your old one for a fraction of the cost? 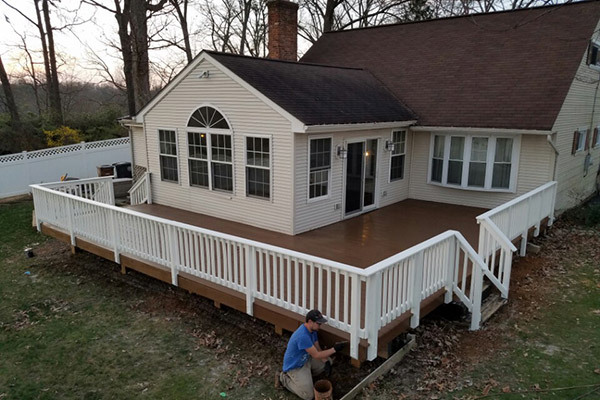 Whether you need small repair jobs such as fixing a loose board, or large repair jobs such as re-decking the entire area of the deck, the professionals at DeckMaster will do the job right.